Have you ever measured other lights with the same meter? Were the readings also low? I find them very hard to believe. Yep, I have a large spreadsheet of measurements from other lights, taken with the same meter. I’ll dig out a few other lights to re-measure, in case there has been a change in the meter, but in the past it has been in the ballpark for other known lights. I don’t see anyone else posting throw numbers for their production GT’s, though. It would be good to see a comparison. Any plans to mod the GT? I was looking at the SST 90 led from luminus http://luminus.com/products/SST-90.html. Double lumens and smaller die als with the XHP70.2 thus more throw. Still waiting for a 70.2 mcpcb to fit the GT. That and a driver that can handle 11A/12v or 22A/6v w/NarsilM would be great. Yeah, I also want them to make an MCPCB. For the driver, you could use an existing TA driver to get max power right now and I am thinking about making a new driver for this use case as well. T/A mentioned that he might make a parts list to make the GT driver compatible with 3volt LED’s. I’m very keen to go that route, & have some of the ‘good’ XP-G2’s on their way as well, which should punch out some really good throw numbers. I have the parts here to try the 3V mod. The stock driver will actually drive a 3V LED at the stock 2.5A current, it just can’t handle much more then that as the stock diode will quickly overheat. This evening, I swapped the stock 4000k XHP35 HI with a 5700k XHP35 HI D4 bin. This is the same LED being offered by MTN for transplant, for people who don’t like the stock LED. Using 8*30q’s fully charged, I calculated the following readings (to 0.25lux), using a CT-1330B light meter. Taken @ 10 meters – 1833 meters throw. Taken @ 15 meters – 1849 meters throw. Taken @ 20 meters – 1841 meters throw. Taken @ 10 meters – 1760 meters throw. Taken @ 15 meters – 1764 meters throw. Taken @ 20 meters – 1743 meters throw. While the GT is a great thrower, & will wow most people, unfortunately it falls short of the “>1 Mcd (ANSI throw >2000 m)”, as promised in the original specs, which is a little disappointing. Of course, I’m just using a cheap, un-calibrated meter, so there’s bound to be a little give or take in the numbers. Keep in mind that the meters we use favor CW emitters to NW. I generally see about a ~10-15% difference in readings from equal bin emitters of different tints. So that would actually put both emitters at about the same throw level with that factored in. Although the total readings you are getting are a bit lower then most, not sure why. High humidity, smog and other factors play into things and since your 20m readings are lower then your 15m readings this leads me to think this is the case for you. Most see the highest readings at 20m. For example VOB got his 1.29mcs reading at 20m with lower readings are closer distances. All that said, I can’t say for sure one way or the other. Just theory’s. Heat shrinking the split ring prevents scratching and noise when contacting the light. The Kevlar line has been good for other uses, so I am hoping it will stand up to the wear caused by the edges of the attachment points to the light. I made the loops long enough to double up when attached creating mass and reducing slippage and movement. Used simple cows hitched to connect to the light and to the rings. Thanks for following this up. 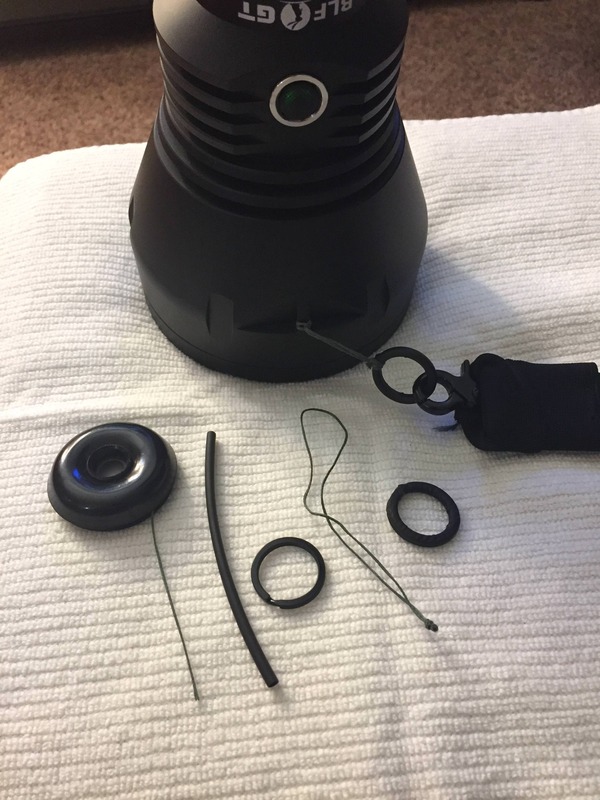 Can you give some more specifics on the 3V mod parts? I’d like to set it at ~5A for XP-G2. I have plenty of resistors & other components kicking around, but possibly not the correct diode by the sound of it. A K40t that read about 8KCd less (312/320) than last tested, & a modded XHP35 HI light that read about ~20KCd lower (~490/510) than last tested. So by the looks of things, the meter could be reading progressively lower, the higher it scales. (yes, I’ve already replaced the battery ). The meter is a few years old now, & has had plenty of use, so I might order a new one. Afiak, the linked sst90 die is the same as the cft90. Only the package is different. I will post the complete parts list once I test it. We picked out a few different components to try so there is some testing involved. Just have not figured out a 3V LED I want to use so bench testing will be what has to happen I suppose. It should be able to just handle 5A @ 3V though with the upgrades. I also noticed that my meter started reading a bit lower on lights I had measured previously a few months ago. Maybe that is why they provide caps for the sensor because they wear out? Another factor is that since your numbers were dropping by 20m, it is very possible that the atmosphere around you is in part to blame. If there is a higher particulate in the air it will reduce the readings, particularly at longer ranges. What may I ask is that other super thrower ? The other light I was referring to is this one. Nope, the SST-90, SBT-90 and CBT-90 are the same technology. They are from 2009. The CFT-90 is new and much more efficient at the same current (around 60% at 9A). In addition to this it’s rated for a 50% higher maximum current (27A vs 18A). Where did those guys who ordered massive aspheric lenses from optiform go!? I thought I’d remembered reading that the SST-90 was also updated. 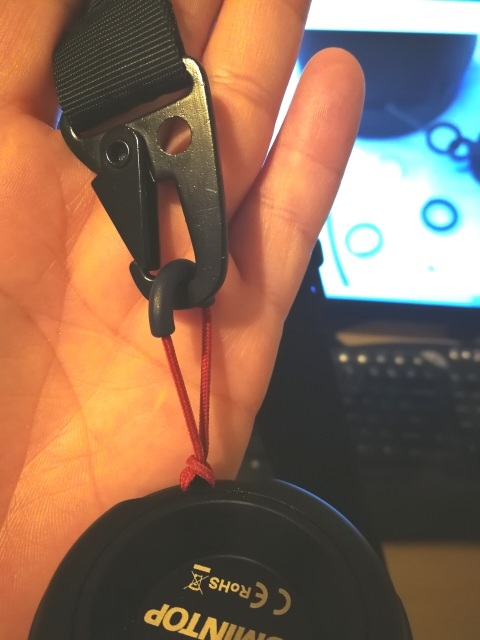 I am using something similar, I found a couple of para cord zipper pulls from an old backpack, they have a hard plastic coating on one side. Is the driver which is good for the CFT90 an easy task or not? Are there any plans for a longer battery tube? Depends on how much current you want to drive to at. 30A will be difficult. Got the SD75 XHP70 Boards, easy conversion to 12v, did one this morning. Cool, where did you get the mcpcb’s? They still say they plan to make some ready made 12V mcpcb’s once they get caught up on the GB but nice to have an option before that. I got them from Lumintop T/A. Personally , i would try to use a fet driver and limit the current though the led wires first . Cheap solution , but it could work to at least get the emitter at a safe operating current . Yeah, they can be pretty tough to get open – I struggled with another one this evening, fortunately it came out un-scathed! My replacement light meter arrived a few days ago (Dr. Meter LX1330B), so I took a couple of quick readings after an emitter swap to a 5700k XHP35 HI D4 bin. Taken from 20 meters, the new meter reads more in-line with what I expected; 2198 meters throw, as opposed to the old meter, which was reading low, @ 1841 meters. No, not at this time. People that don’t have the light already complain about this tube being too long. And a longer tube would be excessive I have to agree, adding even more weight to the light. I have actually carried the light on trails on a sling, but noticed it would have been more comfortable if it was longer, so as to rest it on the shoulder while aiming the light. I guess I can always make an extension just for support. Thanks.